We were driving back from visiting my Dad at his retirement community in Arlington today when I saw a For Sale sign in front of this house, on the corner of Olympic & Highland Drive in Arlington, just down the street from where I grew up. Built in 1930, my Grandparents were the first owners of this house. My 91 year old Dad grew up here and I spent countless hours in the house from the late 50’s through the very early 70’s, until they passed away. I had not been inside for over 40 years, but I had to go in. I got to tell Cary where my Grandpa used to keep his candy bars to help with his diabetes; the location of the comic books they bought for my brother David Peterson and me; the cupboard where the Carnation Malted Milk was kept; the corner in his bedroom where I would listen to records on his record player; the location of the chair where he sat when I would go watch Mickey Mantle and the Yankees with him on Saturday afternoons; and the porch where I last saw my Grandma alive, as Eric Swensen and I ran through her yard on the way to visit Barb Coxon. A flood of great memories! It made my day…my month…my year. 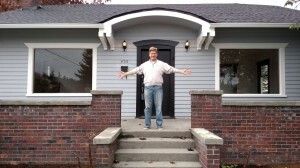 What the heck is going on in our local real estate market? If you read the news you would think that the inventory is so low that no one is putting their home on the market. Not entirely true however. In Marysville, there were 36% more new listings in Feb. 2016 than Feb. 2015, yet the months of inventory based on pending sales went from 1.8 down to 1.1 during the same time frame. There are just more people looking for homes right now. What does this mean for potential buyers or sellers. If you are a seller, we are in a seller’s market and if you are priced correctly we are seeing very quick sales and often multiple offers that push the prices higher. The better your house looks, the more “show ready” it is, the more it will appeal to today’s buyer. If you are a buyer, be prepared to make a quick decision. Get approved for a loan before you start your search, and be prepared to go look at a home the day it comes on the market. Not being available to look at homes for a day or two be the difference in getting a house or not. 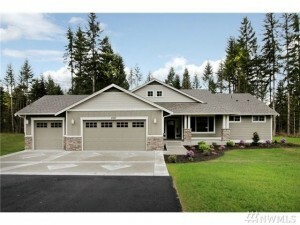 Today there are 146 active single family homes on the market in Marysville. There has also been 130 new contracts accepted in the past 30 days. Yes, things are moving fast. It’s a roller coaster ride right now, and the ticket lines are long.